The head of Shark vacuums and Ninja kitchen appliances just swept up a waterfront property in Golden Beach, property records show. 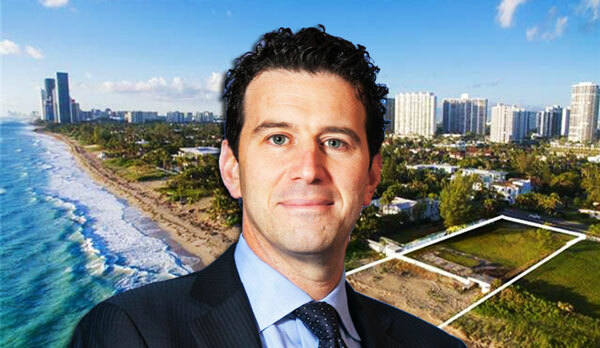 Mark Barrocas, president of Needham, Massachusetts-based SharkNinja, and his wife Irina paid $10.4 million, or $380 per square foot, for the single-family home development site at 501 Ocean Boulevard. The appliance mogul is planning on building a house on the 27,300-square-foot lot, according to listing agent Samantha Elenson of One Sotheby’s International Realty. It includes 100 feet of ocean frontage. Records show the seller, 501 Ocean Boulevard, is linked to an address in Toronto. The previous purchase price is not available in public records. The site hit the market about a year ago with Sue Honowitz of Rusty Stein & Co for $12 million. Elenson, who said the original asking price was too high, took over the listing in November. Douglas Elliman’s Lauren Barrocas, a relative of the buyers, represented the couple. The exclusive beachfront town is home to celebrities like Tommy Hilfiger, Mexican billionaire Carlos Slim and Bruce Weber.